What does Obama's Cuba visit mean for travellers? What does Obama’s Cuba visit mean for travellers? So now it’s Cuba’s turn to host an Obama charm offensive. Obama’s engagement with the wider world has certainly been welcomed by most of the world outside the US but even the most optimistic Obama supporters wouldn’t have ever expected a Cuba presidential visit during his term. After almost sixty years of embargo against Cuba, US relations with its troublesome communist neighbour seem to finally be thawing. 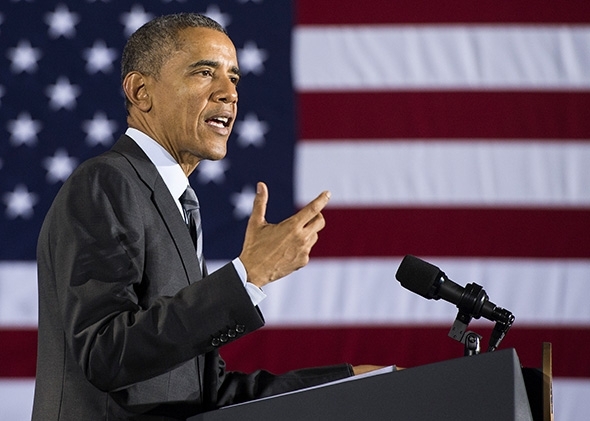 But will Obama’s visit result in a lifting of the embargo? What are the issues preventing this happening? And what does all of this mean for travellers to Cuba? There have been many suggested reasons for the US thawing to Cuba. The obvious first reason is the Obama administration itself. Obama has spent a significant amount of his formative years outside the US in Indonesia – a developing country. Obama ‘s frame of reference on the world generally is starkly different to dare I say it – the Donald Trump’s and George Bush’s of the world. But even so, why has it happened so quickly? Maybe hints to the answer are on the other side of the world in Iran. Like Cuba, Iran has come in from the cold recently too. Like Cuba the reasons for this were varied but one of the major contributors was that Russia was poised to lift embargos on Iran on its own anyway. Unless the West work with Russia on the agreement with Iran, they risked Russia getting all the trade benefits with Iran. And in a similar way Russia could be the underlying reason for the thawing US Cuba relations. Cuba and Russia have always had reasonably close relations – look at the Cuban Missile Crisis for example. In recent years the Russians seemed to be getting more and more friendly with the Cubans and this no doubt is making the US nervous. What better way to distract Cuba from its relationship with the US than by engaging it directly? The US is much closer to Cuba geographically and the trade opportunities with the US are much more obvious than they are with Russia. The above said there are still significant stumbling blocks that need to be overcome before the embargo is lifted. Human rights, Guantanamo Bay Naval Base and media issues (US mainland media agencies broadcast to Cubans, against the will of the Cuban Government) are all major issues that need to be resolved. Possibly one of the biggest issues from the US side is also compensation for the loss of US citizens’ interests during the Communist Coup undertaken by Fidel Castro back in 1959. At the time Cuba was a massive tourism and gambling destination for Americans and many Americans had built hotels and casinos in Cuba to cater to this demand from the mainland. One of the more notorious owners was mob boss Meyer Lansky, who had poured most of his fortune into the Hotel Habana Riviera and supposedly lost everything after the communist coup. It’s questionable if the US government would advocate for compensation for the family of a known criminal, but there are many other legitimate US business owners who suffered a similar fate at the time. Hotel Habana Riviera. 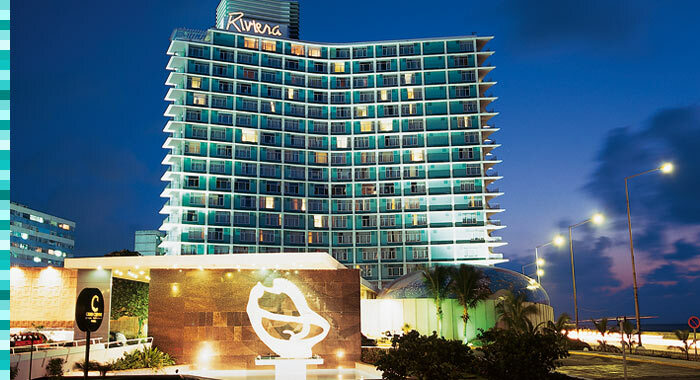 Photo Credit: Hotel Havana Riviera. It’s interesting that some of these original hotels built by Americans have been a considerable source of income for the Cuban government from international visitors. The other major issue from a tourism perspective is that Cuba hasn’t invested in providing world class tourism infrastructure and many of the old US owned hotels are still some of the largest in Havana. 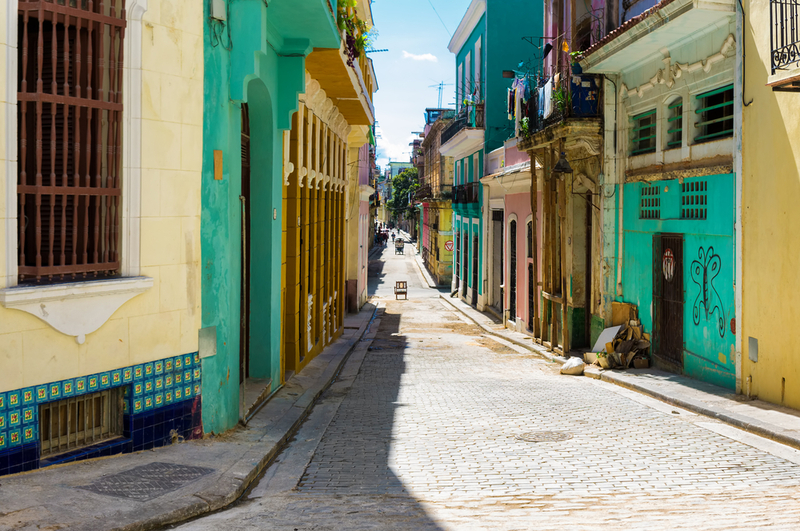 If the US embargo was lifted there would no doubt be a tourism influx from the US – but it’s doubtful that Cuba could handle such an influx with its current infrastructure. Even at Chimu Adventures we see the implications of this already – Cuba is a notoriously hard place to do business at the best of times but currently there are hordes of tourists rushing on Cuba to make sure they visit it “before it changes”. Whilst this motivation is understandable, it’s creating a huge shortage of available hotel rooms and the reliability of hotels is also very difficult (for example bookings get cancelled by hotels all the time – presumably because they have found another client who is willing to pay more for the rooms). So, the Cuba tourism rush is already on, despite the fact that the Americans are still to enter a bidding war for Cuba’s limited hotel inventory. It’s likely to only get worse in the coming years. Be prepared to be very flexible and understanding. As mentioned above, Cuba hotels can be a law unto themselves and there is a chance your hotel may get cancelled and you may need to be prepared to be moved to another hotel. Or in the worst case scenario, not travel at all and have your booking refunded. The further you get from Havana the worse the hotel infrastructure is. Consider doing a quick trip to Cuba and just spending 3-4 nights in Havana to increase the chances of things going reasonably well. Combine the trip with a visit to Mexico, Guatemala or Panama which are also great nearby destinations. Be prepared to stay in homestays. Hotel availability is problematic as mentioned above and homestays can be a great alternative. Let someone do the hard work for you – book through a renowned travel agent and if any issues do arise, they will be able to handle the necessary changes. If you have made your travel bookings directly, you would need to do this all yourself, which could become quite stressful if you are already over there and don’t speak the language. At Chimu Adventures were pleased to help you book your trip to Cuba. For more information click here.